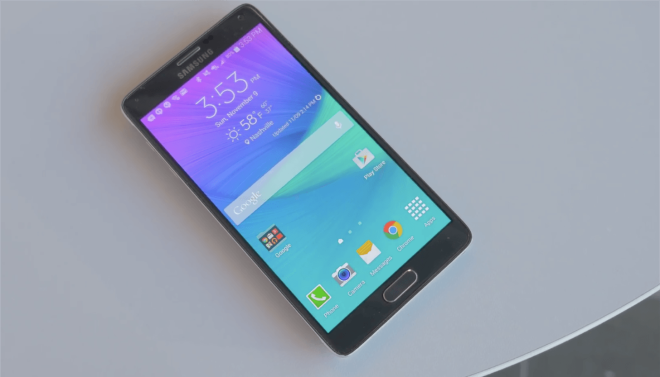 T-Mobile is now pushing updates to both the Galaxy Note 4 and Galaxy Note Edge. 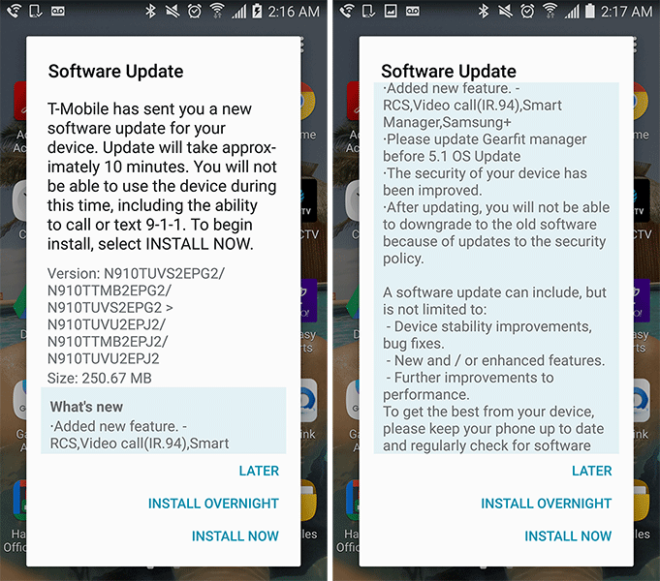 TmoNews readers Hector and Ashhab both received updates on their Galaxy Note 4s today. Interestingly, the changelog included with the update mentions the addition of RCS, Video Calling, and more, but those features were included with the Note 4’s Android 5.1.1 update that rolled out last year. According to T-Mobile’s Note 4 and Note Edge support pages, though, these updates include October security patches. Security updates may not be the most exciting things around, but they help to keep your smartphone and personal data safe, so you Note 4 and Note Edge owners should keep an eye out for your device’s update in the coming days. Hopefully us S7 E owners will get our Security and 256QAM enabling update soon. you should have 256QAM now, it’s one of the few supported devices. It’s only available in select markets right now, though. Per Neville Ray’s response to my tweet, late last month a software update this month would enable it on the device per say. Yes the technology is live on many sites, however devices are still yet to be updated to enable them to use the technology. Will it go to 6.0.1 ? Yes, the Note 4 does have the marshmallow 6.0.1 update on it. After installing, perform a factory data reset. Mine tan like a champ with that update. Even helped with battery a lil bit. Video calling finally works for me. That’s a plus. Still rocking this beast and she still holds up.